New Keys And Developments to The Twin Flame Journey – But The Solution Is So Simple I’m Not Sure You’ll Believe Me… How to Raise Your Connection From Human Drama to Spiritual Bliss. Every single week I hear from Twin Flames who have questions about their situation. At this point I have been asked thousands of questions – it feels like they get more and more complicated. About how long each “stage” of the journey lasts, whether it’s possible to be destined to not experience love, what happens in a “second ascension”, why there are certain feelings that arise at certain points, whether you’ve stopped seeing a repeating number sequence because things are going to end badly, why “some Twins” act in a hurtful way, why male Twins “have more partners than female twins”, whether it’s more likely to get together in union on 11/11 than other days, whether there’s a “higher union than 5d”, whether others can block your union, whether a Twin Flame “can be a narcissist”… and about any other question you could possibly think of. If you’ve asked me for guidance and insights, please don’t take this article the wrong way. Often, I’m guided to use strong angles and roundabout tactics to show you your own inner power and help you help yourself. This is how spirit likes to work – to show us that we hold our own answers. Keep reading – this is an important wake-up call meant for much of the Twin Flame collective. While I respect everyone’s right to be curious and have questions and explore on their journey through life, the truth of the situation is very often: Ultimately, it doesn’t matter. You’re looking in the wrong place. You could be torturing yourself with over-thinking. Humans are the only beings on earth who create problems where there were none. The culprit is the mind. 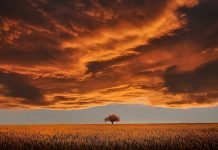 You’ll notice this when you talk to spirit, or when you talk to those who have already been through Ascension – many of the things we spend the most time focusing on in life don’t really truly matter in the larger scheme of things. It’s about perspective. When you examine and analyze and dig and question every detail this creates a loop in your energy creating more and more of the same, more questions, more doubt, more worry, more mental stress. If you’re struggling right now, go here to get a Free Energy Cleanse Audio that will clear out heaviness from your chakras and aura, help you re-center into self love and infuse you with new high vibration light! You can drive yourself a bit crazy with overthinking (I’m sure we’ve all been there) – and the perspective that comes with that attitude is of looking for more “issues” to figure out. The problem is that this mindset lights up more and more little “issues”. In spiritual terms it’s a virus program. If your mind was a computer, this analysis pattern would be a virus keeping the computer from functioning properly. Overthinking keeps you from being fully present in the Now Moment and feeling the Love and Truth of your connection. The Mind can’t feel love! The Heart does. When you’re in your Mind, you’re keeping Love and your Heart in the Shadows. 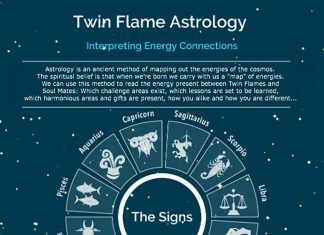 The truth about the Twin Flame Connection is simple. You yourself have known it all along. It’s Love. When you focus on love and keep that big perspective, you will find the flow and the smoothness of the journey more and more. You will sail along on love. Ultimately, what determines whether your Twin Soul connection is harmonious or fraught with problems is your energy vibration and your core beliefs. The actual hows and whats of your journey actually make very little difference. It doesn’t matter what’s come before or what we call it – when your energy shifts, your connection and your situation begin to shift too! When you focus on the terminology and the little details and the “whys” all the time, you create resistance. You get tangled up in problems, and you can even create difficulties where there were none. It’s all about love. All human behavior is directed towards love – expressing it, fearing we don’t have it or will lose it, or needing it and trying to solicit it. When you look at the Twin Flame connection through the lens of love, it all makes sense. We don’t need all the detailed terminology. I deliberately don’t use it, and throughout my journey it’s been the biggest guiding post from spirit – with the message that it just creates restriction and problems. Your journey flows smoother without those boundaries and “rules”. Do whatever you can to enjoy the moment and to not try to label or “figure out” everything. Because when you do, you create resistance and things slow down and get tangled up and knotted. Your journey will be so much more enjoyable when you can relax into focusing on love. That’s the core of your connection, from the dawn of your existence – it was always about love. The human words don’t matter. It’s about what you feel in your heart. All the complicated terms and “rules” have been devised by humans, and the energy behind them is rarely love. It’s mental analysis, confusion, fear of what happens if we’re not able to “figure things out”. The truth is, you are always the master of your own journey, and as was mentioned in the Message From The Divine Masculine a few weeks ago – you and your Twin Soul pre-arranged your lives before you came here. When you question and analyze, you alienate yourself from your power and the core knowing of this journey you created together. Sit back, instead, meditate regularly. If you find it tricky, try my free guided meditation for Twin Flames, where I take you through it step by step. Meditation helps you re-connect with your soul’s wisdom, with your intuition. And your intuition has all the answers. You have to silence the mind and go within. If you’re in your mind and congested with others’ energies, full of attachments to previous lovers and family and friends, your intuition is less able to get through. Clear and uplift your energy to open the channel to your intuition. It’s your divine birthright but you have to re-open the channel once more. No matter what’s going on – apply love, and it will eventually heal. Clear the fear blocks and you open up again. This is why the heart is crucial to the Twin Flame connection, because if your mind is running the show your heart can’t do the job it’s supposed to to keep your connection open and guide you to your Twin in love. Have a look here for the new energy transformation journey spirit channeled to me, which is all about opening and upgrading the heart chakra, uplifting your connection. If your Twin Flame is Running (read more here), it’s because of a core fear of love being taken away from them. If your Twin Flame is with another (read more here), it’s because they don’t feel safe to open up to you because they might be rejected. Deep down, that’s the motivation. If you and your Twin Flame can’t seem to come together physically (read more here), it’s because of feeling that it’s not safe to love in the physical (usually because of trauma from past lives). Deep down, that’s the fear. I’ve seen these three particular core issues over and over. And as you can see, it’s rooted in love in the negative. Send love every day and watch the “miracle” happen. But you have to stay out of worry and fear consistently. Sending love, then worrying – that’s like hitting “play” and “pause” at the same time. The Ego loves to “figure things out”. It wants a university degree on the Twin Flame connection, it wants mysterious sages to pass down mythological decrees of romantic struggle, why we must suffer for love and undergo hard tests and all the rest of it. The soul knows already – that love is the only answer we need. In order to shift into increased harmony you have to take back the reins from the Ego. Including the “spiritual ego” – which is ego in disguise. If you’re irritated by this article it’s a good sign your Ego has been running the show and doesn’t like to hear that there’s no elaborate explanation or terminology to gain here. If you feel that this resonates, however, it’s your soul speaking. You might even feel like laughing, because you know deep down it’s true and you’ve known all along. Things are a lot less complicated than they might seem. Even if it hurts sometimes. Human beings want to complicate everything. But Love is simple. You don’t need a lexicon of terms and theories and stages to deal with. Really, as a spirit you could fix any problem, love any person no matter what. But the human part of you often doesn’t believe that. It’s all about perspective, and ascension is about releasing the human “fixations” that have kept us away from love. Shifting back into the invincible loving spirit part of you while here on earth, so you can experience your desires come to fruition, to unite with your Twin. We have to stop looking outside of ourselves for salvation, for love, for being taken care of. Because love is an energy. It’s not something you have – not something someone else has to give you. Love is something you were born with. It’s where you came from. Fear and hurt can make you shut down the connection, block off the love you have inside. Some people go their whole lives without ever feeling their own love in their bodies. Always chasing and searching for other people to give them love. Looking for love outside of yourself keeps you alienated from your inner power. Dependent on others. Some people are magnetic to be around, and they are usually the ones who dwell in their inner light. Who live in their connection to source, pure love. You’ll notice you feel good around them, more alive, more boosted energetically. The truth is we can all be like this. But because it’s not something anyone teaches us in life, some of us end up always having to “drink from other people’s light” – and that’s a sad existence. Because it’s not truthful to who we really are. Try my free energy tools here to connect back to pure light and begin to experience what it feels like to dwell in high vibrational energies – that’s where love lives! Love is incompatible with ‘figuring things out’. On the energy scale love is one of the highest energies and mental analysis is much lower down. The truth of you as a soul is you are limitless, powerful, you are love. That is your “IAM Presence”, your eternal self. You are love. But your human self, the person you’ve taught you are through other people, and through genetically programmed energy, has most likely forgotten this completely, or never even been aware of it. When you meet your Twin Flame the two of you trigger each other’s souls to remember. You kick in the eternal presence. And when that happens, all the human baggage begins to come up – to help you. But it’s not always easy. That’s why I created the Free help Kit and the Complete Vibrational Alignment Program – to help Twins reach Union and Harmony the way My Twin Flame and I have done. It’s important on this journey of awakening to re-claim our own inner power. Not to use it towards others, but because it’s where we plug into the light. It’s where we reconnect with our infinite selves, our IAM presence. It’s where we tap into love and allow love to dwell in us from the inside out. It’s where we become our Twin Flame and they become us. That’s the truth of Twin Flame Union. Connecting to the light and knowing that the light is you, is one of the most powerful things a human being can do in life. Especially because it counteracts so many of the damaging patterns we take on from society, and what’s negatively engrained in the body. It’s always your choice. And you always knew it would be. When I used to give one on one intuitive coaching sessions to Twin Flames I eventually realized there wasn’t enough time for one person to help all the thousands of Twins out there – so I created a free pack of downloads available for all Twin Flames! You can get my sample energy clearing for Free here – warning, ‘may cause miracles’! I’ve had Twin Flames email me from all over the world to say how profound the effects of the Free Energy Cleanse Tool have been for them – including Runners getting in touch out of the blue after their Twin Flame cleared energy! The reason this happens is that all twins share an energy field and everything we do or intend or feel impacts the other. One twin shifting their energy impacts the whole dynamic in the pair! Try it for free here. Twin Flames: Is This Your Final Lifetime On Earth?